The house was founded on April 1, 1966 by Robert I. Fitzhenry (formerly Vice President, Sales, for Harper & Row), and Cecil L. Whiteside (formerly Vice President, Sales, for the Musson Book Company). The two men had known one another for some time because Musson was, for many years, Harper and Row’s Canadian distributor. When Musson ceased operations, the Harper agency moved briefly to Longmans Canada before Msrs. Fitzhenry and Whiteside were able to convince Harper President Cass Canfield that their knowledge and experience with the wide list of Harper titles could be best utilized by Harper awarding its Canadian agency to their fledgling firm, Fitzhenry & Whiteside. 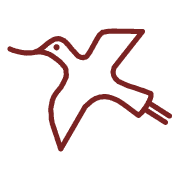 The two principals selected the Godwit as Fitzhenry & Whiteside’s company symbol, because that bird is not only a denizen of the Canadian North, but because its distinctive call sounds like “crazy, crazy, crazy…correct, correct, correct’’, an epithet applied by more than one observer to the new firm’s creation. Business was brisk at the new operation (headquartered at 1590 Midland Avenue, Scarborough) in premises rented from, and next door to, Canadian Book Wholesale (at that time one of the largest Canadian book wholesalers in existence). Fitzhenry took care of the sales and marketing. Whiteside handled the back office, although everyone worked in the warehouse when the influx of orders so demanded. 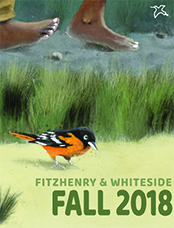 In time, Fitzhenry & Whiteside (or Fitz & Witz, as it is commonly known in the trade) attracted other publisher clients including Beacon, Dial, Delacorte, E.M. Hale, Golden Press, Grosset & Dunlap, Grossman, Hill & Wang, Indiana University Press, Basic Books, Henry Holt, Kodansha, Walker & Company, E.P. Dutton, Facts on File, Millbrook, Lerner, Capstone, and Contemporary Books. Fitzhenry sales people sold over 250,000 copies of Alexander Solzhenitsyn’s Gulag Archipelago 1, and well over a million copies of the Nancy Drew/Hardy Boys series. In addition to a strong adult trade list, Fitzhenry & Whiteside also developed a dominant school library program. 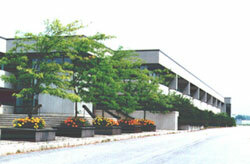 Fitzhenry & Whiteside was expanding, and in the early 1970s, the company moved into its own office/warehouse space at 150 Lesmill Road, Don Mills. Collins was next door, and General Publishing was down the street. It was at 150 Lesmill that the house began to develop its own Canadian publishing program, while at the same time growing its distribution arm. 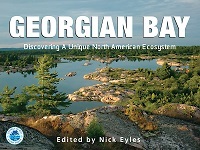 Fitzhenry & Whiteside’s first ventures into publishing were aimed at the education market, specifically British Columbia elementary social studies. The house secured provincial adoptions for its Study Print Sets which were designed for young students in Kindergarten to Grade Three. Additional education titles soon followed: the Growth of a Nation series, the This Land series, the Native American Circle Reading Program for Kindergarten through Grade Three, published in conjunction with OISIE, the Canadians series, Canada Exploring New Directions, Canada the Twentieth Century, and Origins, to name a few. During the mid-1970s, Fitzhenry & Whiteside established a sister house, Beaverbooks, whose mandate was to acquire and sell remainder and merchandise titles. In 1982, Fitzhenry & Whiteside moved again into its own 76,000 square foot office/warehouse premises at 195 Allstate Parkway, Markham, Ontario. This building, which was originally surrounded by cornfields, has remained the firm’s headquarters ever since. In 1989, when Harper & Row was purchased by Rupert Murdoch, its Canadian distribution operation was amalgamated into Collins Publishing, becoming Harper Collins. Fitzhenry was offered a participatory role in the deal, but declined. In the early 90s Fitzhenry & Whiteside assumed Canadian fulfillment for Little Brown, Canada, and, later, Stewart House. Fitzhenry & Whiteside hired its first Children’s Publisher at Fitzhenry & Whiteside in 1998, with the mandate to develop a cohesive children’s book publishing programme. Soon Fitzhenry was publishing such authors and illustrators as Lyn Cook, Rachna Gilmore, Deborah Ellis, Alma Fullerton, Rob Laidlaw, Kirsti Anne Wakelin, Wayne Lynch and Aubrey Lang, Sharon Jennings and others. 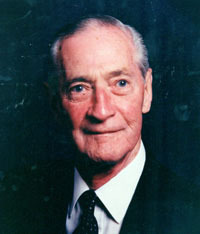 By 1996, both Robert Fitzhenry and Cecil Whiteside had retired from the firm, and management passed to the second Fitzhenry generation. In 1998, Fitzhenry & Whiteside purchased the Calgary-based publisher Fifth House, which remains an entirely separate entity focussed on books of interest to Western Canadians, and books of Native American appeal and origin. In 1999, Fitzhenry & Whiteside became the alpha project for new, Canadian-developed publishing and distribution software created by Bob Houghton and his Hi-Point associates. This move, which enabled the house to transfer its operations from the pre-existing Wang-based mainframe protocol to inter-linked PC systems operating on a Progress platform, transformed the company’s reporting, tracking, and communication abilities. 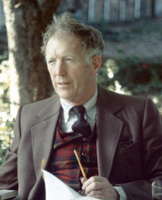 In 2002, Fitzhenry & Whiteside purchased Trifolium Books, publisher of teacher’s Supplements and Guides for both students and educators. (Trifolium has subsequently been folded into Fitzhenry & Whiteside). Also in 2002, Fitzhenry & Whiteside purchased the assets of Stoddard Kids. These consisted of inventory and contracts for some 350 children’s and young adult titles. Stoddard Kids has been successfully integrated into the Fitzhenry & Whiteside Children’s publishing programme. 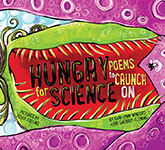 In 2005, Fitzhenry & Whiteside purchased Red Deer Press, the Calgary-based publisher of award-winning children’s books, science fiction, and adult fiction and non-fiction. In 2012, Fitzhenry & Whiteside purchased Whitecap Books, the Vancouver-based publisher of cookbooks, lifestyle books, western-oriented children’s books, travel guides, and historical western portraiture titles. Whitecap remains an entirely separate corporation with offices in Vancouver.